Water follows certain natural laws, just like other things around us. Unsupported objects fall to the ground, and this is called the law of gravity. It is the nature of water to dissolve the things it contacts until it becomes saturated. It is possible for it to dissolve too much and become over saturated, at which point the water loses its excess material by precipitation. This is governed by the laws of chemical equilibrium, more commonly referred to as water balance (see Table 3.a). Many operators are already familiar with this subject to some degree. A commonly used too] in determining the degree of saturation in pool water is the Langeleir Index. Originally devised for the complicated and variable conditions found in industrial water treatment (boilers, cooling towers, heat exchangers etc. ), it has been simplified for use with the swimming pool water. The degree of saturation by the pH, temperature, total alkalinity and calcium hardness found in the pool water. The pH reading is used directly. The temperature factor (TF), alkalinity factor (AF) and calcium factor (CF) are read from Table , using the test values obtained from a pool test kit. The constant (12.1) includes a factor for Total Dissolved Solids (TD), assuming a value of less than 1000 ppm TDS. When the TDS is found to be higher (1000-2000 ppm) a value of 12.2 should be used for the constant. The term balancing has many meanings when referring to pool and spa water chemistry and conditions. The following summarizes these various definitions and conditions. Two chemical levels exist that determine corrosive conditions. Both conditions are serious and costly if not checked. (1) If pH is lower than 7.0, the water is considered acidic and it will attack and dissolve metals, especially the copper pipes in the heat exchanger located in the pool heater. (2) When the saturation index is a negative value, the water will attack or dissolve the calcium found in the pool-shell plaster or grouting between pool tile. Both the human skin and eyes will react to chemical extremes. There are two conditions that will cause inflammation and irritation to the eyes. The human eye has a pH of 7.3-7.5 and will become extremely uncomfortable when pH is below 7.0 and above 8.0. The second condition is when the combined-chlorine level is above .5 ppm and the chloramines cause the irritation. Both conditions should never occur if hourly testing is accomplished and recommended chemical levels are maintained. Two conditions exist that cause iron or copper metal staining of a pool shell, especially a plaster surface. Excessive iron content in the water supply may cause a reddish or rust discoloration at the inlets of the pool if a chelating agent is not used to hold the metal in suspension. Copper staining creates a blue or blue-green discoloration of a plastered pool shell. This condition is created when the pH is lower than 7.0 for long periods, and the acidic water attacks the copper tubing found in the heater’s heat exchanger. This can become very costly if walls require sanding or sandblasting and if it is necessary to replace a heat exchanger. Water clarity is a result of proper chemical balance, adequate circulation and filtration. Most often, cloudy water conditions are caused by low chlorine, high alkalinity, high pH, high TDS or a combination of these. It is possible to have proper chemical readings and still have cloudy water during high swimmer load if the flow rate of the circulation system is low or if there is poor filtration. ◦Properly balanced or saturated water prevents damage to the pool and equipment. Unsaturated water corrodes plaster walls, fixtures, plumbing, etc., and causes staining. Oversaturated water deposits scale or becomes cloudy. o The operator needs to test and control pH, total alkalinity, and hardness in order to maintain balanced water. ◦Proper pH control (7.2 to 7.6) ensures: (1) the proper form of carbonate alkalinity for saturation, and (2) the proper form of HOCI for sanitizer efficacy. ◦Soda ash is used to raise pH. Acids are used to reduce both pH and total alkalinity, depending on how they are applied. ◦Sodium bicarbonate is used to raise total alkalinity. ◦Alkalinity of 80-120 ppm is preferred for both pH buffering and calcium carbonate saturation. 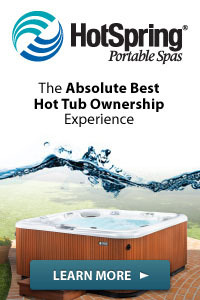 ◦Calcium hardness of 200 ppm, or more, is preferred for proper calcium carbonate saturation and for avoiding soft-water scale found in spas and hot tubs. ◦Calcium chloride is used to raise calcium hardness. The best means of lowering hardness is to drain off some of the water and refill with fresh water. To help you get a handle on what water balance means — and how you can maintain it — let’s look, one at the time, at the factors that shape your water quality. Is acting as the main sanitizer to kill algae and bacteria in the pool water. The level should be between 2.0 and 3.0 on your test kit. During hot weather, high readings are better. All chlorine – regardless of whether it is introduced as a gas or as a dry or liquid compound when added to water, does exactly the same thing: It forms hypochlorous acid (HOCl) and hypochlorite ions (OCl-). HOCl is the killing form of chlorine; OCl- is relatively inactive. However, together, they are Free Available Chlorine (FAC). Combined chlorine is formed by chlorine combining with ammonia and other nitrogen-containing organic compounds. Some sources of these compounds include perspiration, urine, saliva and body oils. These combined forms of chlorine, also called chloramines, are still disinfectants, but they are 40 to 60 times less effective than free available chlorine. Chloramines kill slowly, so when they are formed in swimming-pool water, the FAC is no longer present for “instant kill” sanitation. Free available chlorine and combined chlorine exist together in many pools. There are simple tests to measure the levels of each. These will be described in detail in another chapter. In addition to reduced effectiveness against bacteria, chloramines cause eye irritation and the so-called ‘chlorine odor” that swimmers complain about. Chloramines have a foul, irritating odor; free chlorine in water in normal concentration has no discernable odor. Simply stated, there are three types of chlorine test readings: free available chlorine (FAC), combined chlorine and total chlorine. Free plus combined equal total. Only the free chlorine is effective in killing bacteria or algae. A high level of combined chlorine indicates the need for shocking or super chlorinating to eliminate it. Although bromine in its elemental form is a liquid, it is not available for swimming pool disinfection in that form. Elemental bromine is a heavy, dark brown, volatile liquid with fumes that are toxic and irritating to eyes and respiratory tract. For pool sanitation, bromine compounds are sold in two solid forms – a two-part system that uses a bromide salt dissolved in water and activated by addition of a separate oxidizer; and a one-part stick or tablet that contains both bromine and an oxidizer and is dispensed by an erosion-type feeder. The chemistry of bromine is similar in many respects to the chemistry of chlorine; however, bromine cannot be used for shock treating. Bromine has a pH of 4.0-4.5. When bromine is added to water and an oxidizer is present, the bromine forms hypobromous acid (HOBR) and bypobromite ions (OBr). Like chlorine, the percentage of each is affected by pH. However, the effect is not as dramatic as it is with chlorine. Table 3.2.a displays the effect of pH on bromine. Like chlorine, bromine combines with organic impurities to form combined bromine or bromamines. However, combined bromine is still an effective sanitizer, and it does not smell. Because of this, bromine is popular for spas. Is the level of how acidic the pool water is. You must maintain a good pH level or your chlorine will not work effectively. The level should be between 7.2 and 7.6. The most fragile and arguably the most important component of water balance is pH, a reading that indicates how acidic or basic your pool and spa water is. Without going into the entire story of what pH is and how it works, suffice it to say here that it’s important to monitor it because it has an impact on your sanitizer effectiveness, not to mention your pool or spa’s surfaces, equipment — and you. The ideal pH range for pools is between 7.4 to 7.6. For spas, the range is 7.2 to 7.8. Any reading below 7.4 for pools or 7.2 for spas means your water is acidic. To correct the situation, you would add soda ash or sodium bicarbonate, two substances available at your local pool/spa supply store. Note: You should not add soda ash to a spa as you would to a pool — it is too strong for the small spa environment. 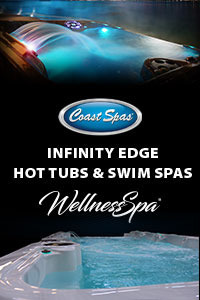 If the pH reading is above 7.6 for pools or 7.8 for spas, it means the water is basic or alkaline. To bring the pH level down in pools, you’ll need to add some liquid muriatic acid to the water. Muriatic acid is also available in pool/spa supply stores. Here again, you need to take special care with your spa: Liquid muriatic acid is too powerful for the small volumes of water found in spas. Therefore, experts do not recommend using muriatic acid in spas. Instead, you should add dry acid. pH is a number between 0 and 14 that indicates how acidic or basic a solution is (See Figure 5.4). Pure distilled water has a pH of 7.0 and is neither acidic nor basic. Water with a pH of lower than 7.0 is said to be acidic, and the smaller the number, the more acidic the water is. One the other hand, water with a pH greater than 7.0 is basic, and the larger the number, the more basic the water. Acidic compounds, such as sodium bisulfate or muriatic (hydrochloric) acid, lower the pH of water. Alkaline compounds, such as soda ash or sodium hydroxide, raise the pH of water. Alkaline compounds are, therefore, basic. The use of both alkaline and basic to refer to high pH, and to compounds that raise the pH, causes some confusion with the alkalinity of water. The difference between total alkalinity and pH is discussed later. In addition to the effects of pH on the chlorination process, there is also an effect on the total alkalinity of water. This plays a major role in the degree of calcium carbonate saturation. This dual effect makes the control of pH very important to the pool operator. Molecules of water (and other substances) break up into electrically charged particles called ions. Water separates into positively charged hydrogen atoms, called hydrogen ions, and negatively charged particles containing one hydrogen atom and one oxygen atom. The pH of a solution does not indicate the total amount of an acid or base in the solution, but only how much of it is ionized. This point is very important in the subject of total alkalinity, which is explained further on in this chapter. pH is a very complicated subject, and the above explanation has been deliberately simplified to give sufficient, accurate information for swimming pool operation. Chemists would not accept it as complete, but it will do for this discussion. Accurate control of the pH of swimming pool water is essential. The effects of pH upon flocculants, bactericides, algae growth, equipment maintenance and bather comfort will be discussed throughout the Handbook. The pH of swimming pool water must be kept slightly above 7.0 and must never exceed 7.8. Most state health departments recommend that the pH of swimming pool water be kept between 7.2 and 7.6. This range provides the best conditions for precipitation of flocculants on conventional sand filters and for effectiveness of chlorine as a bactericide. Corrosive damage to pipes, filters and pumps might result from operation at a pH below 7.0. High pH values cause reduced effectiveness of bactericides and encourage the growth of algae. Control of pH is relatively simple. pH can be raised by the addition of soda ash (sodium carbonate, Na2CO3), sodium bicarbonate (NaHCO3) or sodium sesquicarbonate (Na2Co3oNaHCO3o2H20)- Other compounds, such as sodium hydroxide, can be used, but they are more dangerous to handle and are not recommended. The carbonate ions produced by these chemicals combine with some of the hydrogen ions and reduce the hydrogen-ion concentration. This makes the water more basic. Soda ash, sodium bicarbonate and sodium sesquicarbonate can be added to a pool by dissolving the powder in water and feeding the solution through a chemical feeder; dissolving the powder in a bucket of water and pouring the solution directly into the pool water; or by broadcasting the dry powder over the water surface. The amount required varies greatly from pool to pool, and only trial-and-error experience determines the correct amount for any specific pool. The scientific definition of pH is ‘the negative logarithm of the Hydrogen ion concentration’. First accept pH is a scale measuring the acidity or alkalinity of a solution. Squeezed lemon and vinegar are sour or acidic. If we drank them we would take something alkaline like bicarbonate of soda or magnesia to neutralize the acidity in our stomachs – in other words raise the pH. The pH scale runs from 0 (highly acidic) to 14 (highly alkaline) with distilled water being neutral at pH 7. Now instead of sour, lets use the term ‘hydrogen ions’, and instead of alkaline lets use the term ‘hydroxyl ions’. Vinegar has many more hydrogen ions than hydroxyl ions. Conversely, soda ash and bicarbonate, being alkaline, possess more hydroxyl ions than hydrogen ions. In summary, acids produce hydrogen ions, alkalis produce hydroxyl ions. pH is the power (German ‘potenz’) of a solution to yield hydrogen ions [H+]. Now we are back to the scientific explanation of pH as ‘the negative logarithm of the hydrogen ion concentration’. Negative because the more hydrogen ions, the lower the pH. 1.The pH value affects the amount of hypochlorus acid (free available chlorine) that is formed, and therefore determines the effectiveness of the chlorine as a killer of bugs. Unfortunately you cannot run your pool at pH 6.5 – it would be acidic enough to corrode the metal fittings in your pool circulation system and it is too far from the human body’s pH of 7.4 to be comfortable to bathe in. The compromise is 7.2 to 7.6, preferably midpoint of 7.4. Remember, if you let the pH drift out of this range, you will have to use more chlorine to get adequate disinfection. 2.Bather comfort. At high pH, the water will make your eyes sting and possibly give you a sore throat. 3.At high pH there are two dangers. A. The danger of scale forming on your pool surfaces, pipe work and fittings. This is because at a pH of around 8.0, the calcium in the water combines with carbonates in the water. Result? Calcium carbonate or scale. b. Calcium carbonate can form into tiny particles and float around in the water giving it a cloudy, turbid appearance. 4.A low pH can corrode metals, eating away at copper fittings and heat exchangers leaving metal oxides to stain pool surfaces. Under certain conditions the precipitated (particulate) metals can tint your hair, giving you a rather dated appearance in these post-punk times! A final note: Before adding any chemicals to adjust your pH levels, you must first consider total alkalinity. Is a pH “stabilizer”. It helps to keep the pH within the proper levels so that the chlorine can work effectively. It reduces pH “bounce”. The level should be between 100 – 150. Now that you know where your pH level should be, it’s time to consider the total alkalinity. The most important thing to remember about total alkalinity is that it affects your pH levels and therefore must be tested before you do any pH testing and adjustments. Total alkalinity and pH go hand in hand, but total alkalinity has the upper hand. Basically, total alkalinity is a measure of the water’s ability to neutralize acid (called the water’s buffering capacity), and keep your pH level within the proper range. This is why you test and adjust your total alkalinity before even touching your pH test kit. Your goal? To keep total alkalinity readings inside the acceptable range of 80 to 140 ppm for pools and 80 to 120 ppm for spas. What happens if you don’t? Let’s take a quick look at the problems that can result. WHAT IS TOTAL ALKALINITY ? Closely related to pH, but the two must not be confused. Total alkalinity is a measure of the amount of alkaline materials in the water. This alkalinity will usually be present as bicarbonates, but with a very high pH carbonates and hydroxides can be present as well. The relevance to pH is that the amount of alkali (hardness) in the water will determine how easy it is for changes in pH to occur. If the alkalinity is too low (below 80ppm) there can be rapid fluctuations in pH – i.e. there is insufficient ‘buffer’ to the pH. High alkalinity (above 200ppm) will result in the water being too buffered – it will make it difficult to adjust or correct the pH. By way of analogy, picture a sphere resting on a flat surface. If the sphere moves along the surface to the left, it is analogous to lowering the pH; if it moves to the right, it is equivalent to raising the pH. If the sphere had the bulk density of a balloon, very little force would be required to move it left or right. It would require a much greater force if the sphere had the bulk density of a cannon ball. In this example, the increase in bulk density between the balloon and the cannon ball is analogous to an increase in alkalinity. The increase in force required to move the balloon and the cannon ball is analogous to the idea of increased ‘buffering’. Total alkalinity is a measure of the pH-buffering capacity, or the water’s resistance to a change in pH. This ability to resist change in pH is due primarily to the presence of the family of carbonate ions, but certain other compounds also provide buffering. The carbonate ions have a special role in water saturation. The operator must control both the amount of carbonate alkalinity and the pH to provide enough calcium carbonate to saturate the water without having so much that scale forms. Total alkalinity and pH are related in water saturation (or balance) because, at low-pH (acidic) conditions, all of the carbonate ions are converted to bicarbonates. There is no calcium carbonate formed, and water becomes aggressive to the pool walls and equipment. At high-pH (basic) conditions, too much carbonate is formed, and even the smallest amount of calcium ion present precipitates, causing cloudy water or scale. At normal pool pH conditions (7.2-7.6), most of the carbonate ions are in the bicarbonate form to provide buffering. Small amounts of carbonate ion are present to provide calcium carbonate saturation. Total alkalinity is measured with a pool test kit, and, for all practical purposes, is equal to the carbonate alkalinity. Total alkalinity may be used directly to get the alkalinity factor (AF) for the Langelier Index. The alkalinity factor from the Langelier Table or Saturation Index Table will be 1.7 (at 45 ppm) not 1.9 (at 75 ppm). If these conditions existed for pool #2 in the examples given earlier, the water would be very aggressive (SI = -0.5 instead of the -0.3 shown), and the operator should take corrective action immediately to avoid corrosion damage to the pool and equipment. At normal-to-high total alkalinity, there should be no need for a correction, and the total alkalinity test result can be used both as a measure of the pH buffering and the carbonate alkalinity in determining the degree of saturation. Water hardness is a concentration of the calcium and magnesium in your pool and spa water but is often referred to simply as calcium hardness. The amount of calcium hardness your water will have varies depending on your water source. Well water, for example, has a higher mineral content — or is harder — than a fresh-water source that has gone through a treatment plant. Note: You do want your water to have some level of hardness. If it’s too soft, the water will slowly but surely dissolve the plaster and any metal in your pool and spa equipment. If there’s too much hardness, you’ll see scale formation on the walls and the water will take on a cloudy appearance. WHAT IS CALCIUM HARDNESS ? Calcium hardness is the amount of dissolved calcium (plus some other minerals like magnesium) in the water. The word dissolved is important – if you can see calcium scaling up the pipe work or the surface of the pool, it is no longer dissolved – it has stolen a march on you. Too much calcium means cloudiness and scaling up, too little could lead to the water satisfying its appetite for calcium by taking it from your grouting. The term “water hardness” originated with the use of soap for laundering and cleaning. Certain ions in water combined with the chemicals in soap to form a solid precipitate, or scum, and made it hard to get soap to lather. Thus, water with more than 100 ppm of hardness ions was called hard water. The hardness ions are primarily calcium and magnesium. Sometimes, such others as iron and aluminum are also included but are often neglected because they are easily removed in the water-treatment process. With the development of detergents, the problem of hard water in laundering was greatly reduced, but the term is still commonly used. Because calcium ions combine with carbonate ions to form the calcium carbonate needed for water saturation, it is important that the calcium level be closely monitored. Therefore, the pool operator needs to measure the calcium hardness to determine the calcium factor (CF) for the Langelier Index. The method for determining calcium hardness is given in the chapter on pool water testing. Like pH and alkalinity, calcium hardness affects the tendency of water to be corrosive or scaleforming. It also appears to affect the kind of scale formed. When a calcium carbonate precipitate occurs in soft water, the scale particles are large and coarse. This is seen in many tap water pipes where the local water treatment plants soften the water to 100 ppm or less. Hard water, however, appears to produce a protective scale that has smaller, finer particles that prevent corrosion. Thus, the pool operator should test and maintain calcium hardness at 200 ppm, or higher, both to provide sufficient calcium ion for saturation as calcium carbonate (50 ppm minimum) and to ensure that, if a scale forms at all, it is the less harmful form (200 ppm or more). The acceptable maximum calcium hardness depends on the amount of total alkalinity needed for pH buffering. If a particular pool tends to change pH rapidly, higher total alkalinity (over 100 ppm) is needed. Calcium hardness should not exceed 400-600 ppm, depending on the pH and temperature of the water. The exact values can be calculated using the Langelier Index. Some pools tend to have very little pH drift and can use a lower total alkalinity (less than 100 ppm). Under these conditions, calcium hardness may reach 800 ppm, or more, without causing cloudy water or scale formation. Again, all of the factors for water saturation must be considered in determining the proper level to maintain. Calcium hardness is increased by the addition of hydrated calcium chloride, a readily available form of calcium salt. Use 10 pounds of calcium chloride (80% CaCI2) for each 10,000 gallons of water to raise the calcium hardness 80 ppm. The only convenient way to reduce calcium hardness, however, is to remove some of the pool water and replace it with fresh water. Very often, normal splash-out by swimmers and filter backwash procedures remove enough water to maintain an acceptable calcium level. With high temperatures and excessive evaporation rates, additional water may have to be drained periodically to lower calcium hardness levels. By definition, TDS is absolutely everything dissolved in your pool and spa water, from metals to chlorine to alkalinity to sulfates and salts. The acceptable range of TDS in a swimming pool is between 1,000 and 2,000 ppm. 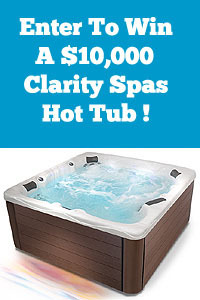 For spas, the level is 1,500 ppm above your start-up TDS. If you have a problem with TDS, your pool or spa water may taste salty or it may have a tint to it, although there isn’t any clouding. You might also see algae growth and get false test readings, among other things. If you suspect your water’s TDS is too high or low, call a professional service technician or take a water sample to your pool/spa supply store’s water lab for further tests — and some advice. By now, you should have read the basic definitions of the different chemicals and substances found in your pool and spa water. And while keeping the upper hand on them doesn’t require a Ph.D. in chemistry, it does call for regular attention. Your ultimate goal is to reach and maintain a certain level of sanitizer and a certain water balance. That is, you want to keep all your chemical readings within their proper ranges. WHAT ARE TOTAL DISSOLVED SOLIDS ? High TDS – at 1,500 ppm above water-supply level – can reduce chlorine efficiency by as much as 50%. High-TDS water tastes salty and offers a dull appearance. High TDS is common with spa water with high bather load, high chemical needs and a relatively small volume of water. Outdoor pools in the Sun Belt area of the United States that experience a high volume loss of water due to evaporation can be plagued with high TDS, especially in shallow pools. Splash-out, carryout and frequent backwashing offer a natural prevention of high TDS because of dilution. TDS can only be corrected by dilution of water with low TDS. Sea water has an approximate TDS of 35,000 ppm, while drinking water can range between 100-300 ppm. Forms a protective bond around the chlorine, making it more resistant to being burned off by the sun. Makes chlorine tablets last longer. 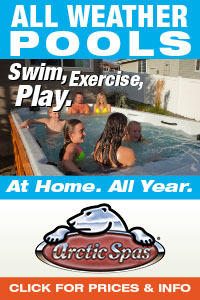 Pools should be stabilized whenever large amounts of fresh water are added. The level should be 35 ppm and is adjusted by adding Stabilizer Conditioner. Usually Cyanuric Acid is used as Stabilizer. WHAT IS CYANURIC ACID ? Chlorine in outdoor pools must be shielded from the degrading effects of the sun’s ultraviolet (UV) rays. Cyanuric acid is used in outdoor pools with the inorganic chlorines such as calcium hypochlorite, sodium hypochlorite, lithium hypochlorite and chlorine gas. It is recommended that the cyanuric-acid level be 30-50 ppm with a maximum of 100 ppm and a lower limit of 10 ppm. The level of cyanuric acid is reduced by dilution due to filter backwashing, bather dragout or dumping. To meet health codes, pools above 100 ppm need to be drained of about 20% of volume, and fresh water added. Four pounds of cyanuric acid will offer a reading of 50 ppm in 10,000 gallons of water. Cyanuric acid has a pH of 4.0, and if added to a gas-cblorinated pool, the addition of one-third of a pound of soda ash per pound of cyanuric acid is recommended. REMEMBER – Good water chemistry can only be achieved when all four of chemical levels are kept constant. Good Alkalinity helps keep the pH in the right range so that the chlorine can do its job properly. 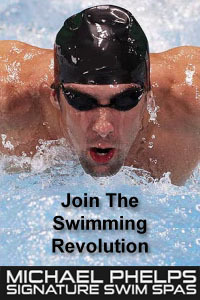 Stabilizer keeps more of the chlorine in the water instead of being wasted ! The result? A crystal clear pool!